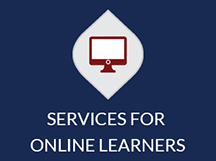 Student Health Services provides online learners a variety of ways to gain more information about their health. We encourage you to sample the activities below as well as taking a look at our Topics & Concerns page. A fun, avatar-based program for peers, staff & faculty to see how to identify and respond to signs of distress in others when challenging conversations are needed. Modules include LGBTQ & veteran students. Take the College Response Survey, an anonymous online screening for Depression, Anxiety, Alcohol, Eating Disorders or PTSD to see if you would benefit from professional consultation. See what's happening with Student Health Services on Facebook, the PEERS on Facebook, Student Health 101 on Facebook, and the PEERS on Instagram.